Welcome to the Orange County Convention Center – The Center of Hospitality! 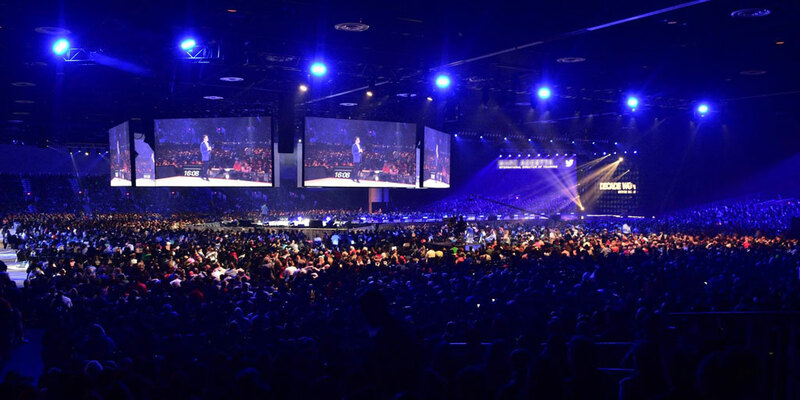 The award-winning Orange County Convention Center, located in the heart of Central Florida and only fifteen minutes from the Orlando International Airport, provides a multitude of event options in two beautiful buildings – the West and North/South. With new entertainment and accommodation options changing the landscape, this is a time of great transformation for the OCCC and our surrounding Convention Center District. Nearly $1 billion has been infused into the district, creating a renaissance of tremendous growth and reinvestment. The Center is consistently rated a top-tier convention center with incredible spaces, including the remodeled multipurpose Tangerine Ballroom, the Sunburst room and terrace along with the all-new Honeybell and Hamlin boardrooms.